Want to add significant power to your v-twin? 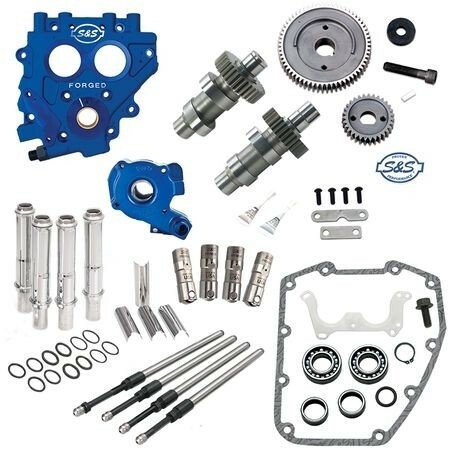 S&S Cycle is proud to present the S&S Complete Cam Chest Kits. High performance design combined with all of the best components into one perfectly matched package. Kits include cams, outer drive gears (or chain tensioners), cam plate, tappets, oil pump, Quickee Pushrod Kit, and all bearings and gaskets needed for installation. Each part is designed to work with everything around it and create optimum power and reliability for 1999-’16, even many 2017 Harley-Davidson® big twins (except touring). Multiple cam grinds as well as chain or gear drive options means we build a kit suited for the performance demands of your motorcycle. 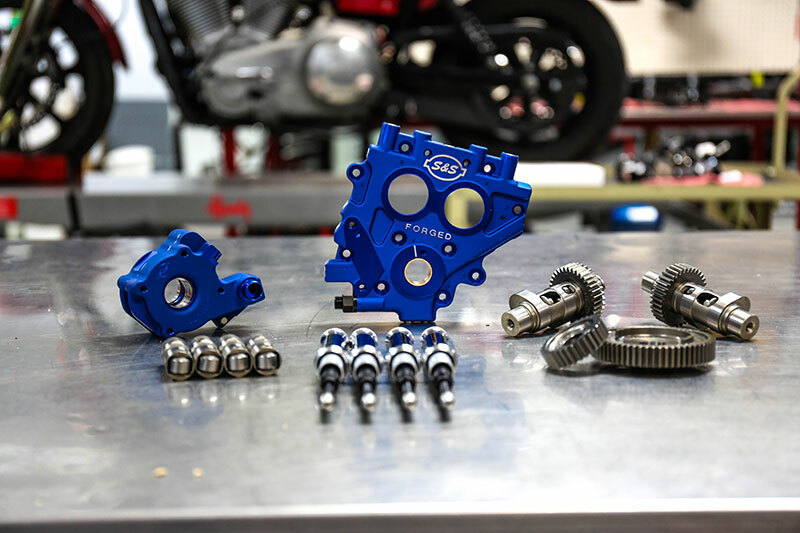 Matched components make for an easier install and S&S Cam Chest Kits combine horsepower and torque gains with money savings over separate components.